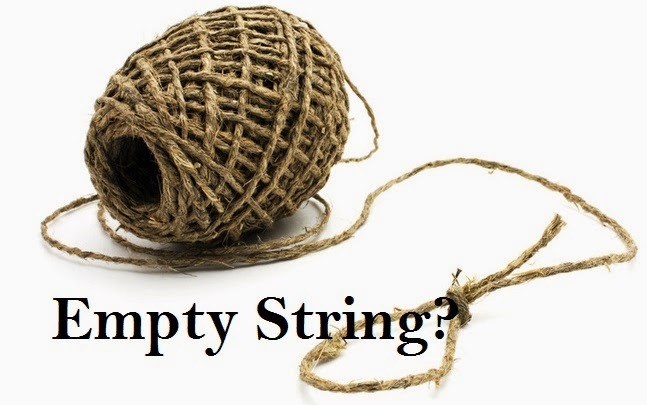 In this post, we'll see the best practice and optimize way to check empty String in Java. Every developer know how to check empty String but here we'll look into the optimized method of checking empty String. How to prove that second option is the optimized way to check for empty String? String.equals() is expensive if you are only testing for an empty string. It is quicker to test if the length of the string is 0. Reason is that, since String class is immutable so there length is cached where in case of equals() a lot of statements need to be executed to know whether string is empty or not. Onward Java 6, isEmpty() method of String is use for the same purpose. What about if String is NULL? The best way to check if a String is empty is str.isEmpty(). Did you try it yourself? If yes, please share the code. LHS of assignment must be a variable. I didn't find problem anywhere. It helps the software developers and programmers to validate software application performance and behavior before deployment.Nice article. Article gives a great information about Java.Now i ready to face any problems in Java. Thanks for giving useful information. This information is impressive; I am inspired with your post writing style & how continuously you describe this topic. After reading your post, thanks for taking the time to discuss this, I feel happy about it and I love learning more about java.